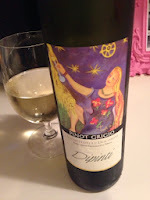 Before I found this wine I never thought I could fall in love with an Italian Pinot Grigio. Yet here I am, in love with an Italian Pinot Grigio. La Vis Dipinti is made in the Dolomites, way up north in Trentino Alto Adige. Dipinti translates from Italian to paintings in English. Its floral and waxy aroma reminds me of one of those Yankee Candles my wife likes so much. Also on the nose are peach and stoney minerality. The palate shows melon and apricot with a finish of lime. 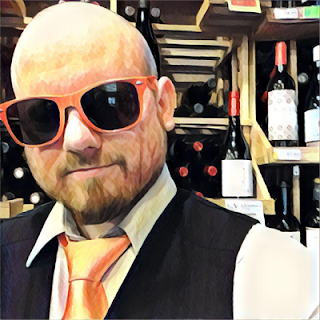 The heavier body weight and the smooth mouth feel is more along the lines of an Oregon Pinot Gris than an Italian Pinot Grigio. It's more juicy than crisp. It's not complicated, as you should expect from the varietal, and it doesn't take itself seriously. It's just really yummy. It's also worlds better than another Italian PG (that shall remain unnamed) and almost half the price. Pair with the seafoods, salads and hot Italian sausage with peppers and onions.